With more money comes opportunity as well as challenge. For family foundations—particularly those for whom the influx comes as a complete surprise, or who haven’t planned in advance—a change in asset size can feel downright disorienting. 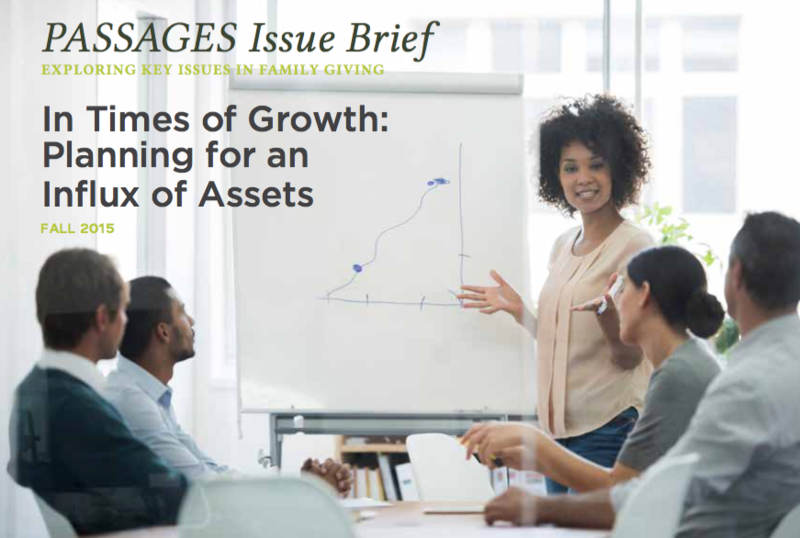 This Passages Issue Brief will help you plan now for growth tomorrow, and manage change if you’re in the midst of it today.